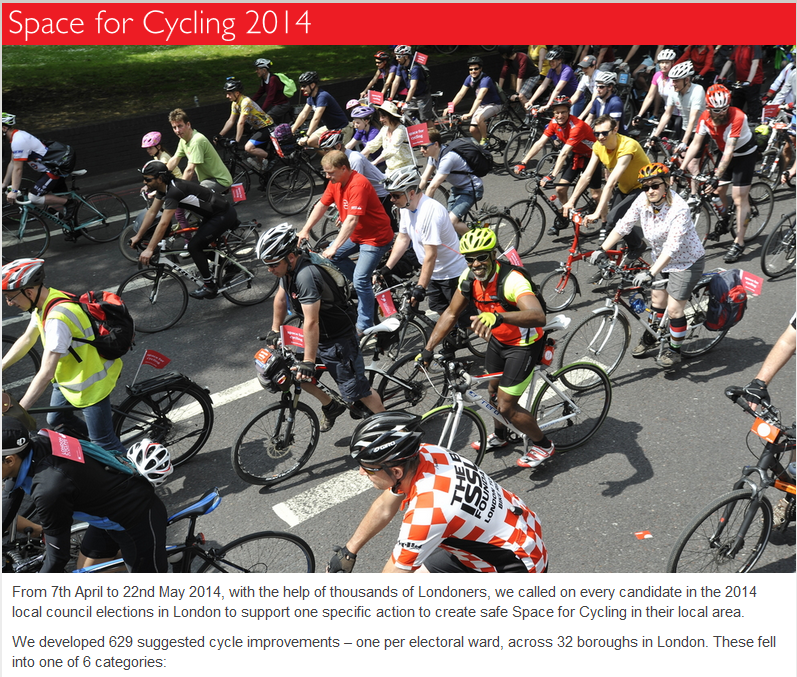 Firstly I would like to explain why I decided to stand for the Board of Trustees for London Cycling Campaign (LCC) – I am a keen cyclist and member of LCC, back in April this year I found out that LCC was running a campaign for the local elections called ‘Space for Cycling’ where they were claiming to ask every candidate in London to support improvement measures for cycling in their ward. I soon found out that this wasn’t true and they were deliberately ignoring candidates for political reasons nothing to do with cycling and were refusing to give reasons why. So I decided to stand for the Board of Trustees to insure that the charity isn’t abused for non-cycling purposes. The article claims that I 'take photos for Redwatch', this isn’t true, I take photos and film for use on my social media and to catch out violent organisations like the UAF causing problems and I’ve never submitted a photo to Redwatch. The article claims that members of LCC are concerned that pictures of them will appear on Redwatch – No-one from LCC has contacted me with these concerns and if they had I would have been able to put their minds at rest, from what I understand Redwatch is only against Marxist and would have no more interest in publishing pictures of cyclists than they would pictures of what I am having for my dinner. They complain that I have turned up and photographed and filmed the UAF - My reasons for doing this are because the UAF are a violent organisation and when they cause problems the media pretend that it's Nationalists causing the problems also Searchlies and other far left organisations turn up at our events and take pictures of us. Bellow you can see videos of the Reds including Gerry Gable in action outside the Greek Embassy in London and outside the UAF conference also in London. During my time holding politicians and government bodies to account – I have caught a Croydon MP selling or giving confidential data about a constituent to a newspaper and discovered that all of the known victims of the Night Stalker Delroy Grant were White among other things. I consider bringing information like this to people’s attention to be in everyone’s interest.